Number of Earthing Electrode and Earthing Resistance depends on the resistivity of soil and time for fault current to pass through (1 sec or 3 sec). If we divide the area for earthing required by the area of one earth plate gives the number of earth pits required. There is no general rule to calculate the exact number of earth pits and size of earthing strip, but discharging of leakage current is certainly dependent on the cross section area of the material so for any equipment the earth strip size is calculated on the current to be carried by that strip. First the leakage current to be carried is calculated and then size of the strip is determined. For most of the electrical equipment like transformer, diesel generator set etc., the general concept is to have 4 number of earth pits. 2 no’s for body earthing with 2 separate strips with the pits shorted and 2 nos for Neutral with 2 separate strips with the pits shorted. For example for 100kVA transformer, the full load current is around 140A. The strip connected should be capable to carry at least 70A (neutral current) which means a strip of GI 25x3mm should be enough to carry the current and for body a strip of 25×3 will do the needful. Normally we consider the strip size that is generally used as standards. However a strip with lesser size which can carry a current of 35A can be used for body earthing. The reason for using 2 earth pits for each body and neutral and then shorting them is to serve as back up. If one strip gets corroded and cuts the continuity is broken and the other leakage current flows through the other run thery by completing the circuit. Similarly for panels the no of pits should be 2 nos. The size can be decided on the main incomer circuit breaker. Number of earth pits is decided by considering the total fault current to be dissipated to the ground in case of fault and the current that can be dissipated by each earth pit. Normally the density of current for GI strip can be roughly 200 amps per square cam. Based on the length and dia of the pipe used the number of earthing pits can be finalized. 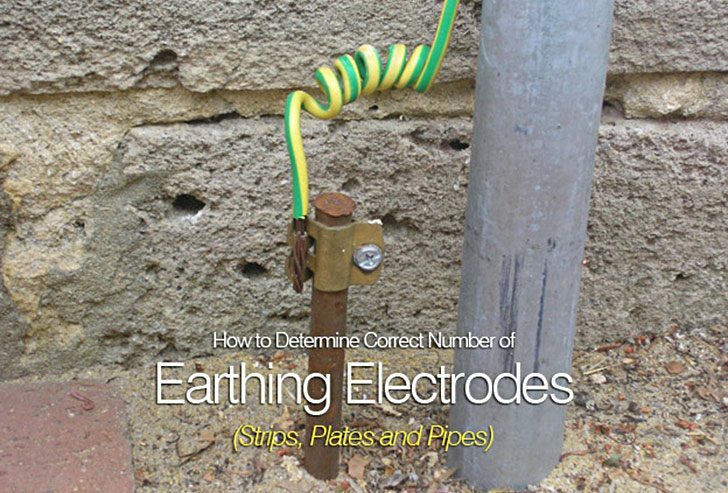 Number of earthing pipe required = Fault Current / Max.current dissipated by one earthing pipe. Number of earthing pipe required = 50000/838 = 59.66 Say 60 No’s. Overall resistance of 60 no of earthing pipe = 7.99/60 = 0.133 Ω. Calculate GI strip having width of 12mm , length of 2200 meter buried in ground at depth of 200mm, soil resistivity is 72.44 Ω-meter. From above calculation overall resistance of 60 no of earthing pipes (Rp) = 0.133 Ω. In cases where a single electrode is not sufficient to provide the desired earth resistance, more than one electrode shall be used. The separation of the electrodes shall be about 4 m. The combined resistance of parallel electrodes is a complex function of several factors, such as the number and configuration of electrode the array. For Hollow square total number of electrodes (N) = (4n-1). The rule of thumb is that rods in parallel should be spaced at least twice their length to utilize the full benefit of the additional rods. If the separation of the electrodes is much larger than their lengths and only a few electrodes are in parallel, then the resultant earth resistance can be calculated using the ordinary equation for resistances in parallel. In practice, the effective earth resistance will usually be higher than calculation. Typically, a 4 spike array may provide an improvement 2.5 to 3 times. An 8 spike array will typically give an improvement of maybe 5 to 6 times. The Resistance of Original Earthing Rod will be lowered by Total of 40% for Second Rod, 60% for third Rod,66% for forth rod. R = 500/ (2×3.14×4) x (Loge (8×4/0.0125)-1) =136.23 Ω.
Ra (Parallel in Line) =136.23x (1+10×0.146/200) = 1.67 Ω. If earthing rod is connected in Hollow square than rod in each side of square is 200 = (4n-1) so n = 49 No. Ra (in hollow square) =136.23x (1+9.4×0.146/200) = 1.61 Ω. Is the number of earth pits get reduced if I use copper clad steel (250 micron) instead of GI for vertical electrode. There are a lot of mistakes in either the given Formulas or the calculations. So please, get them corrected. I think it is improper to calculate the size of earthing strip on the basis of rating of main incomer.The short ckt rating of the system should be taken into consideration.The earthing strip should be able to carry fault current for 1 sec. We are leading manufacturer and suppliers of high quality chemical earthing electrode manufacture,copper bonded electrode manufacture,pure copper earthing electode manufacture,gi chemical electrode manufacture and chemical earthing Compounds meeting industry standards for residential, commercial and industrial sectors.We specialize in installation and testing highly conductive, corrosion free Earthing system as well as lightning protection system. Our services extend to private businesses (large and small) as well as Government agencies ranging from Domestic, state to national levels. Our Company is construction company, and we construct building by latest Technic by using puff i.e metallic wall, so please tell me how much earth pit required as per area. why same unit is not used for length and diameter in below formula? R = 100×72.44 /2×3.14x300x(loge (4X300/10)) can’t find the same answer as yours. How do you get the answer? Dear Sir , In above problems , in formulae there is natural logarithm i.e. ln , what in calculation you are using log base 10 ??????? Sir i have a doubt regarding the earthing. One of my work site, the earth resistance requirement is less than 3 ohm. The site is a low tension project. I don’t know how to calculate the number of earth pit for that site. Please tell me the equation to find out the no. of earth pit required. The power is available from electricity board transformer having 160 kVA. Please help me. You wrote that for 100kVA transformer, 70A would be neutral current which means a strip of GI 25x3mm should be sufficient. But, as i know Strip should be sized as per neutral fault current because I is fualt current in strip sizing formula as per IS 3043. The Formula you have mentioned is for Short circuit current. I believe the size of the copper tape was selected based on its ‘Ampacity’ (Capacity to carry current). This information can be found in the catalog. Ra (Parallel in Line) =136.23 x (1+10×0.146/200) = 1.67 Ω.
Usefull information every time getting from your articles. I need information on Cu. bonded earth electrode and GI earth electrode fault current carrying capacity. We are facing issues of GI earth electrode corrosion so we need to change with Cu. bonded earth electrode with carbon base back fill compound. Nowadays chemical type Earth Electrodes are popular. I want to design an Earthing system based on chemical type Earth Electrodes, for which no standard is available..
Can I get guidance for the design? V Nice work done !! congratulations to share the knowledge. Quick note the values I got for the calc is 136 not 156. I had some doubt regarding earthing of generators and assosiated service pillar. I have 3 x1000kVa generator and soil resistivity of 27 Ohm-M. I had done a calculation and found out 19 pits required and each pit of 20mtr long electrode of dia 17.2mm. I just want to confirm whether my calculation is right or wrong. Is it right for a domestic building to bond the main earthing of the building to the earthing for the lightning arestor ? I just to know if touch and step voltage is still applicable on areas like piperacks? Are we only going to compute the required earth rods in this areas (piperack)? 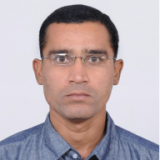 Dear Sir’s, Can any one help with the details of – How many Equipment Earthing/ Body Earthing can be connected or allowed to one single earth pit. Just be careful with the calculation and design of your electrode systems. One of the biggest issues with multiple earthing points at any equipment is the potential to have circulating currents. I found the best way to design an suitable electrode system is to produce a spreed sheet with all the different methods and play with the input data until you have a working solution that can realistically constructed. But the most important thing I think is to determine the soil resistivity. Because this varies and depends on the nature of the soil. Can you help us with our earthing requirement. We have setup a new test room with some panels, HV test set etc. We require earthing for these and need to achieve less than 1 ohm. We have thought about making 4 pits for earthing. But we are not completely sure how to proceed. Can you give us an overview on how to proceed. I am electrical Designer past 9 years. Yes I am an electrical engineer with over 37 years experience in Transmission & Distribution system & Thermal Power Plant Electrical systems in Design & Engineering field. 1.For EHV substations we design Earthing systems as per IEEE80 considering Soil resistivity, system fault current,duration then Conductor sizing, step, touch and mesh voltage and finally Total grid resistance etc. 2.My present requirement is for a Wind Electric Generator Unit Substation (a Collector Substation at 33kV level) i.e. below the respective WEG, comprising a step up Transformer to 33kV, VCB, CT, PT, ISOLATOR and LA etc mounted on steel structures over concrete foundation. Nothing but a mini size WEG Unit Substation with a max. of 33kV system voltage. So, for this type of mini or small WEG unit SSs what type earthing system are recommended and please throw me some light on the same with full details such as calculation, recommendation and any document in support of the same. Hi, i am an EEE- engineer. how i can download it. Great article, just a couple of issues. In the opening picture the main earthing lead is shown with a spiral twist in it, this acts as an inductor on AC and may limit the earth fault current flowing during a fault. If this electrode is the main electrode of a ‘TT’ system, as defined in BS 7671, the top of the earth electrode must be covered by an insulating cover. This is to avoid any person or animal receiving a shock by touching the electrode during a fault. It would improve the safety and effectiveness of the eart electrode by allowing the top of the electrode to be below ground level. BS 7671 requires that a label should be fitted to the earthing lead at the connection to the electrode with the wording ‘Safety electrical earth, do not remove. The theory is good but practial issues are not adequately adressed. AT LAST MY PROBLEM WAS SLOVED BY THE THIS AUTHOR BUT THERE IS MISTAKE IN THE FORMULA IN PART -II FOR CALCULATION OF NO OF ELECTRODES. FORMULA SAYS SOME THING BUT EXAMPLE SAYS SOME VALUES PL CORRECT THE SAME. Merci pour tous ce que vous présenter comme idées, mais la traduction de la langue anglaise à la langue française et en général déformée, car la zone dont nous dépendent est francophone, c’est pour cela que nous trouvons des difficultés pour récolter convenablement vos cours et vos conseils.